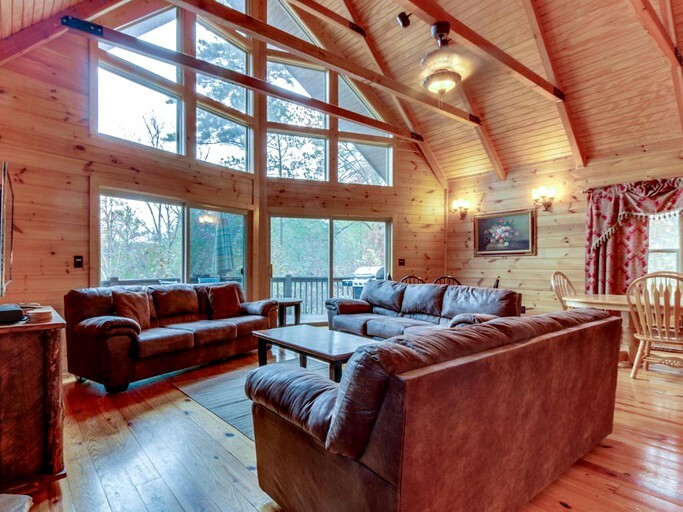 Groups looking for an unforgettable getaway need look no further than this luxury cabin with mountain views near Talking Rock Creek in Georgia. 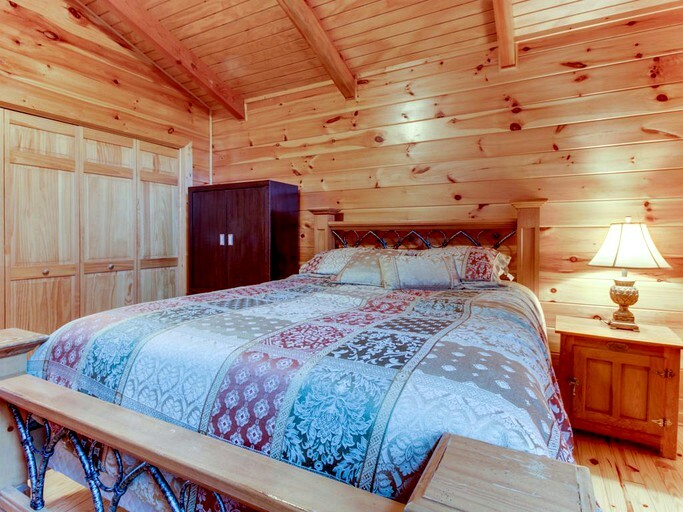 This upscale cabin has five bedrooms and three bathrooms which can comfortably accommodate up to 16 guests. 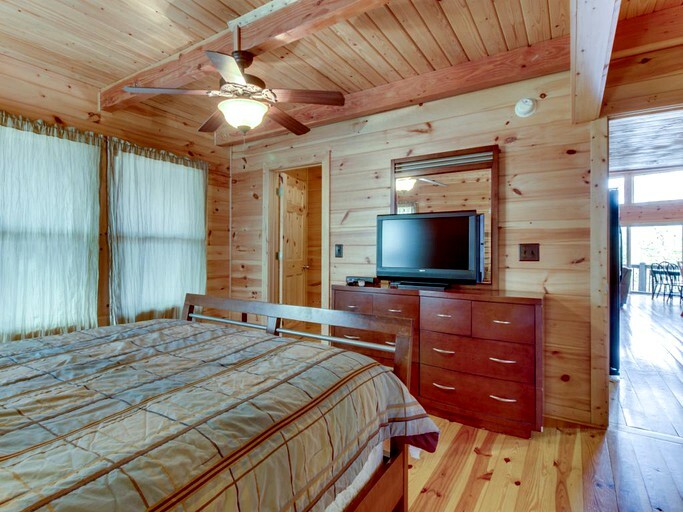 The master bedroom is located on the main floor and features a queen-size bed, a TV, and a private bathroom that has a shower and a Jacuzzi. 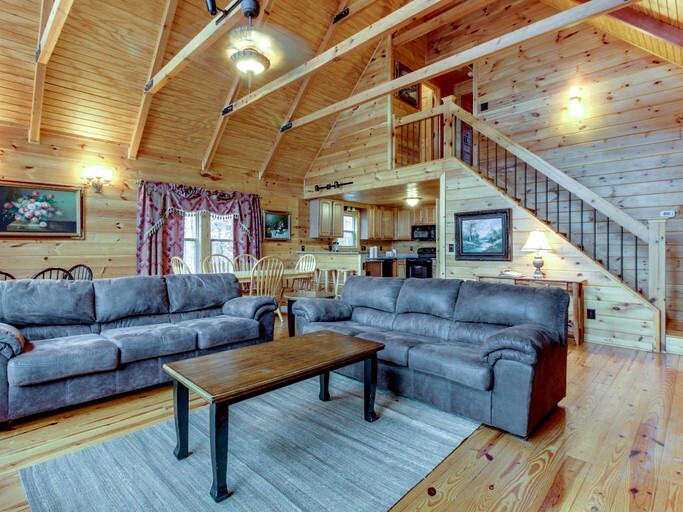 The great room on the main floor has a comfortable sofa bed. 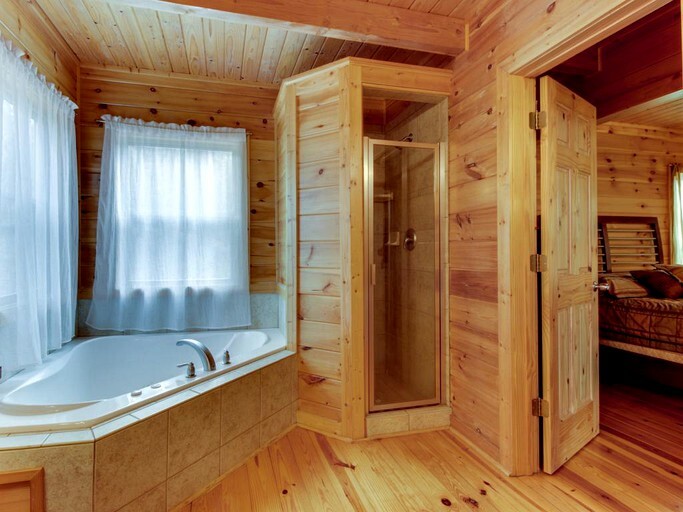 The upper level has two bedrooms and a bathroom with a shower and a tub. 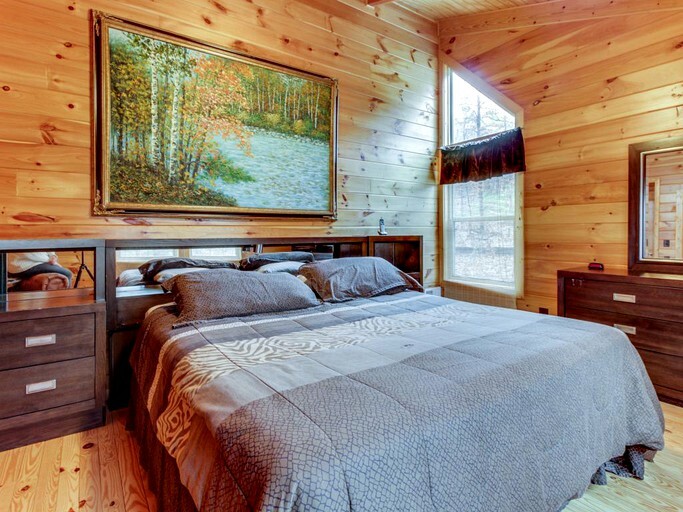 The first of these bedrooms features a king-size bed while the second has a queen-size bed. 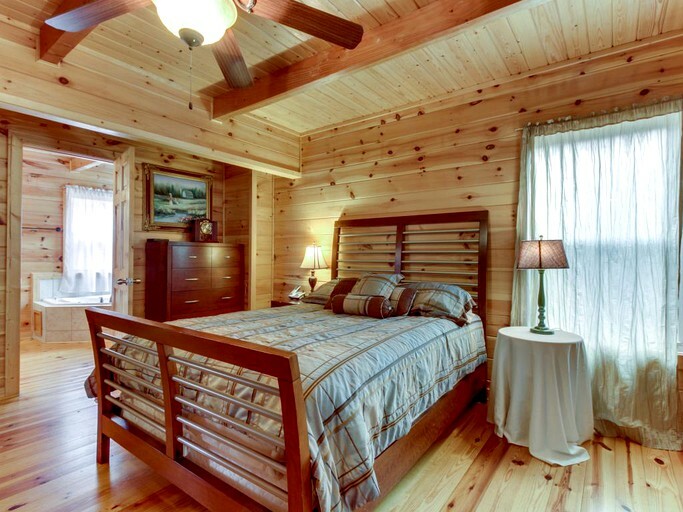 There are two more bedrooms on the lower floor. 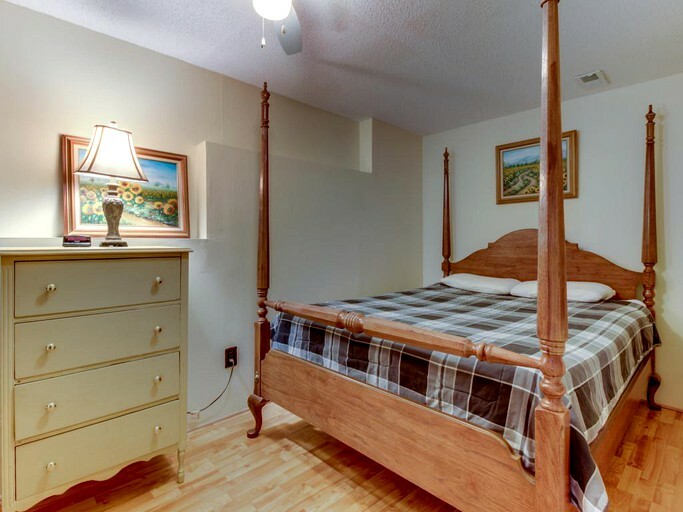 The first has two twin beds and the second has a double bed. 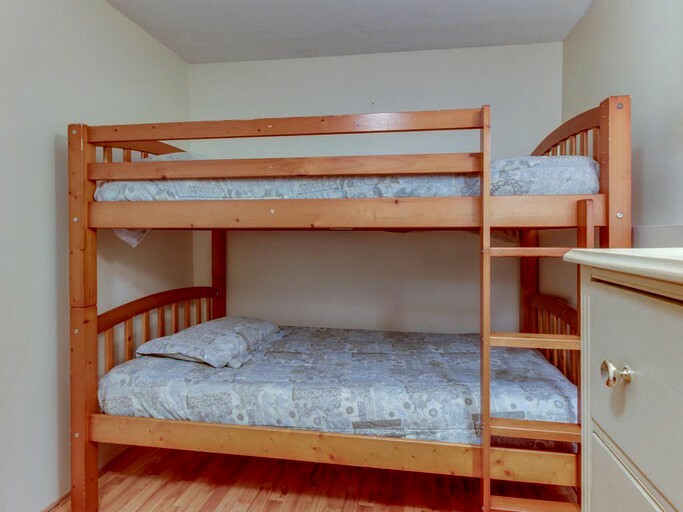 In addition to the bedrooms on the lower floor, the family room also features twin bunk beds and a futon. 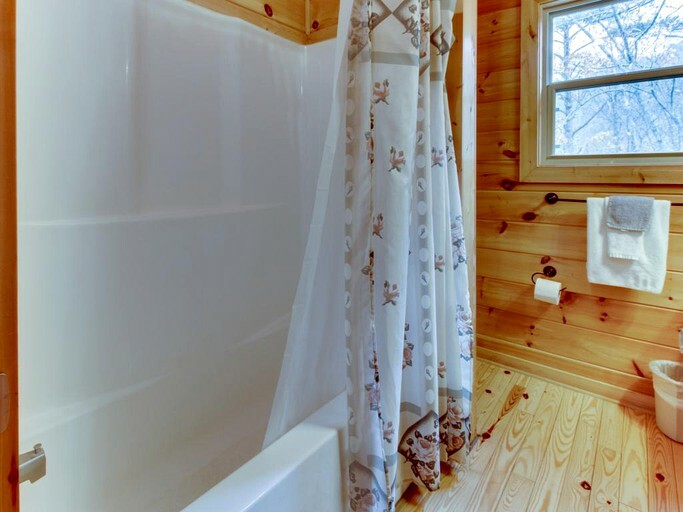 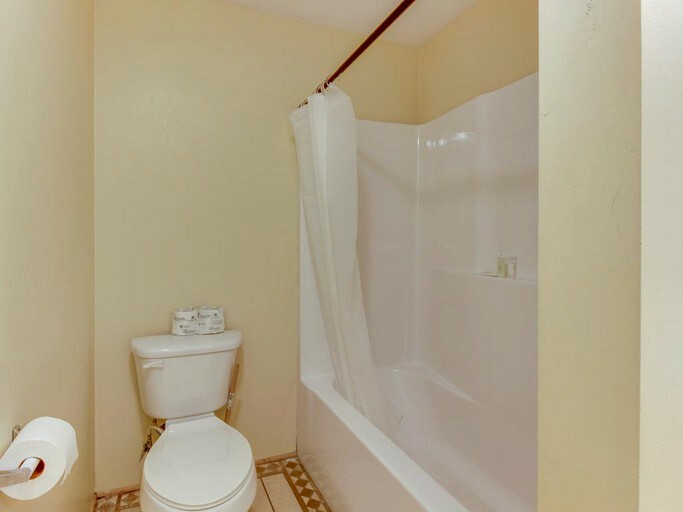 There is also a bathroom with a shower and a tub on the lower floor. 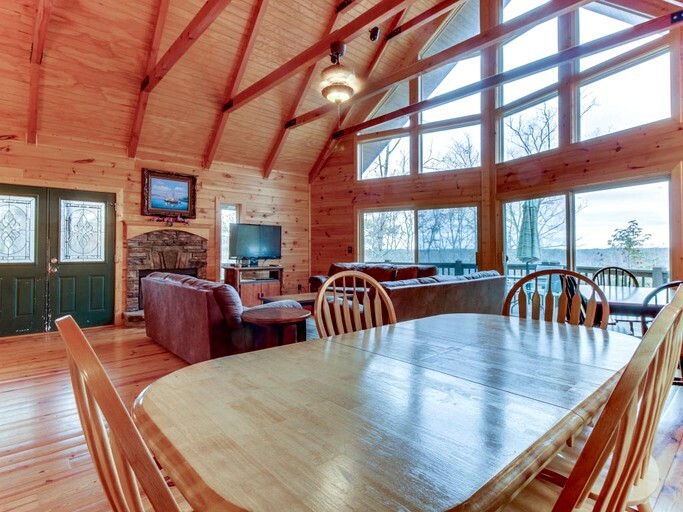 The great room enjoys exposed wood walls, gorgeous raised ceilings, and a wall of windows leading out to breathtaking views of the Carter's Lake Regulation Reservoir. 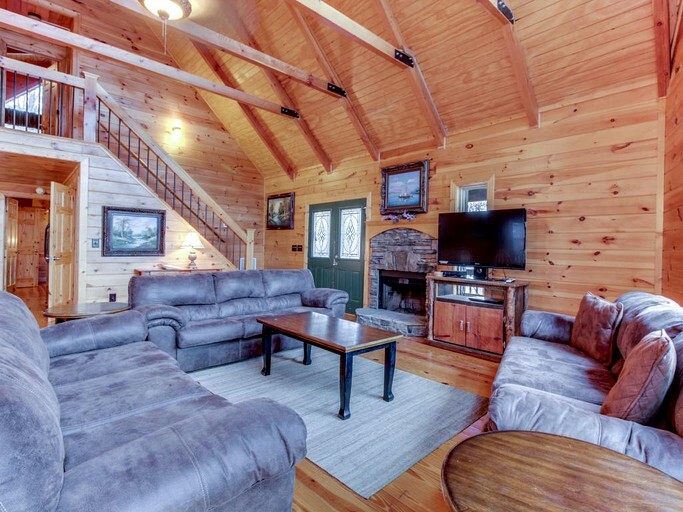 Guests can lounge on the plush sofas next to the crackling fire, or watch one of the cabin's five satellite TVs. 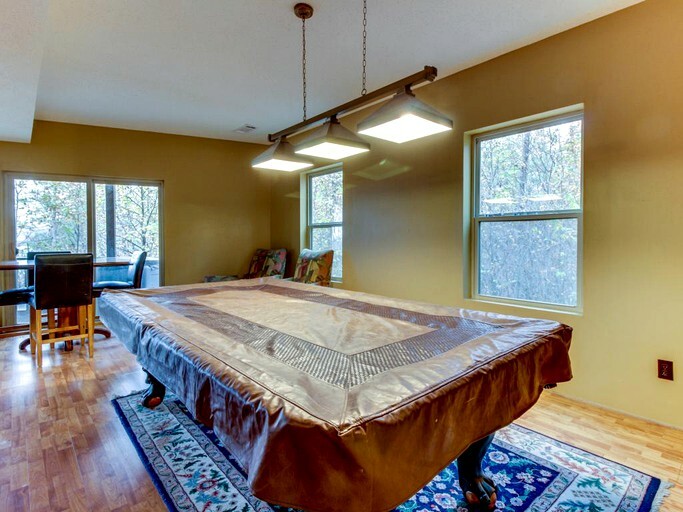 There is an eight-foot pool table in the family room for guests who enjoy a bit of friendly competition. 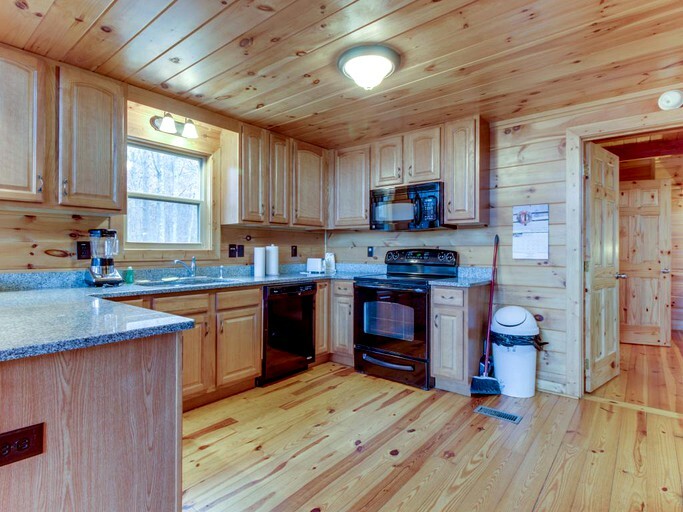 The open kitchen is fully equipped and is any gourmet chef's dream. 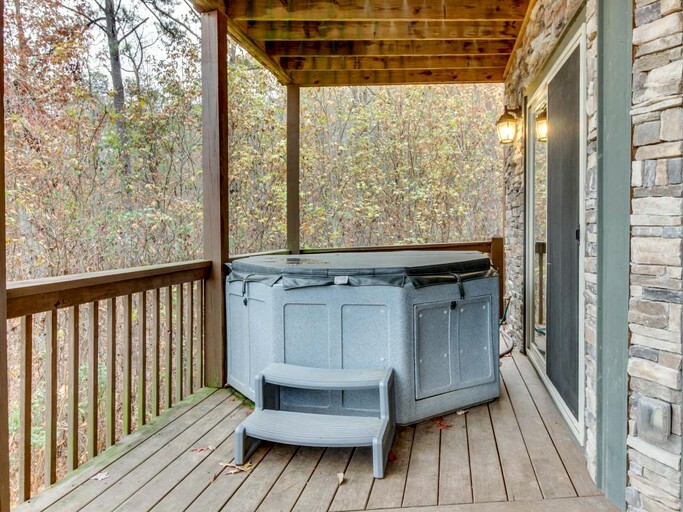 It features an oven, a microwave, a dishwasher, and a fridge. 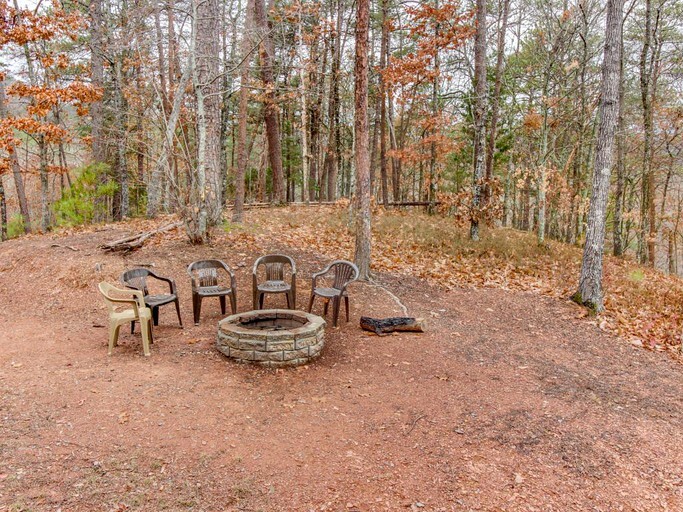 There are three bar stools along the granite counter tops, and guests can enjoy their meals at the six-person dining table or the four-person bistro table just next to it. 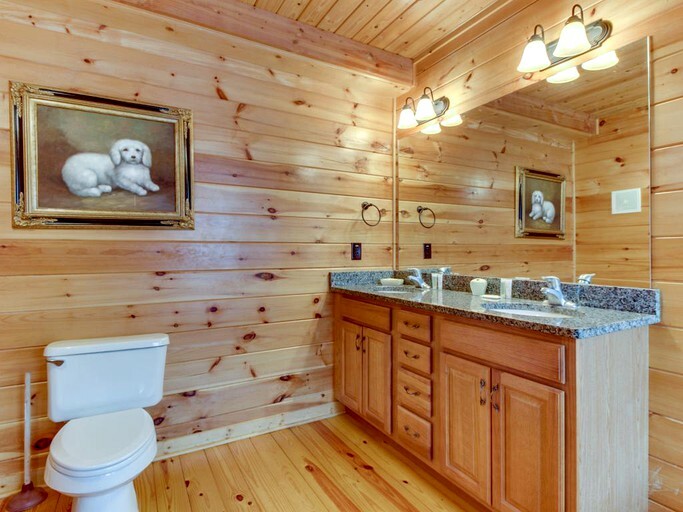 Free Wi-Fi and parking with space for a boat trailer are provided at the cabin. 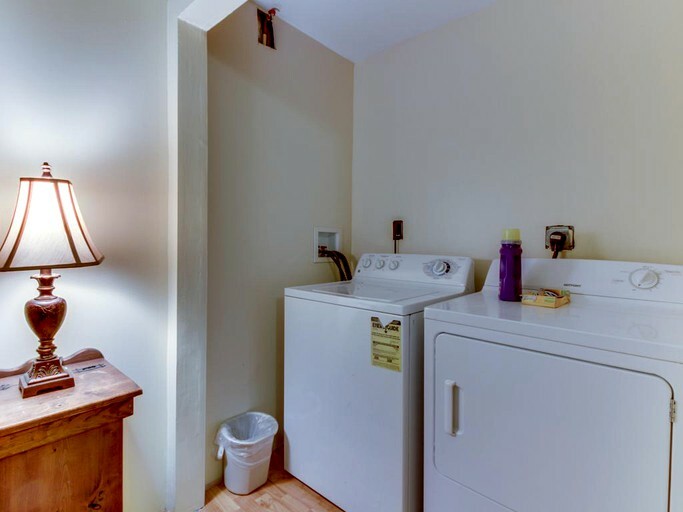 Guests can use the cabin's washer and dryer to keep their clothing fresh after outdoor activities. 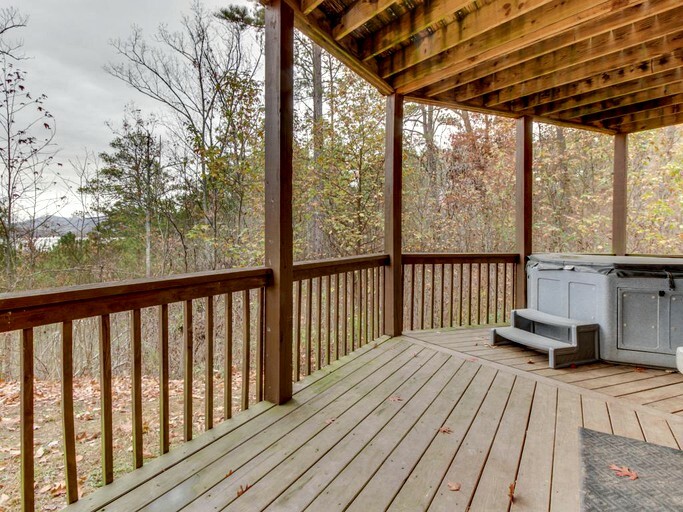 This property features two large decks, a private hot tub, and an outdoor fire pit. 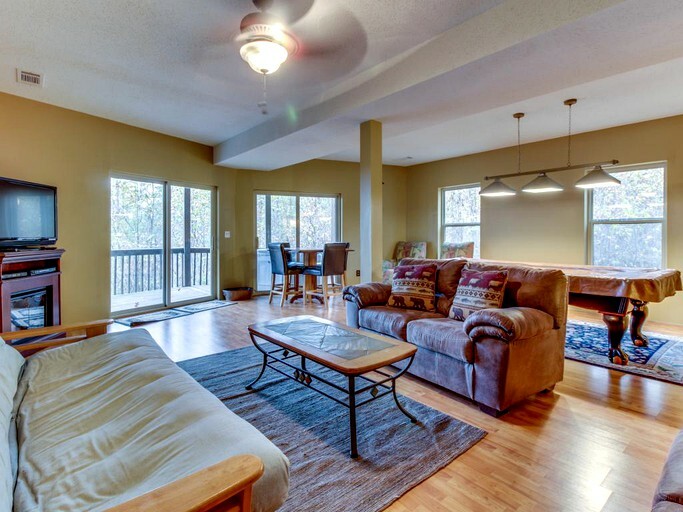 There is also a seasonal shared swimming pool, a fitness center, a tennis court, and a fishing pond that guests are welcome to use at the Talking Rock Creek Resort. 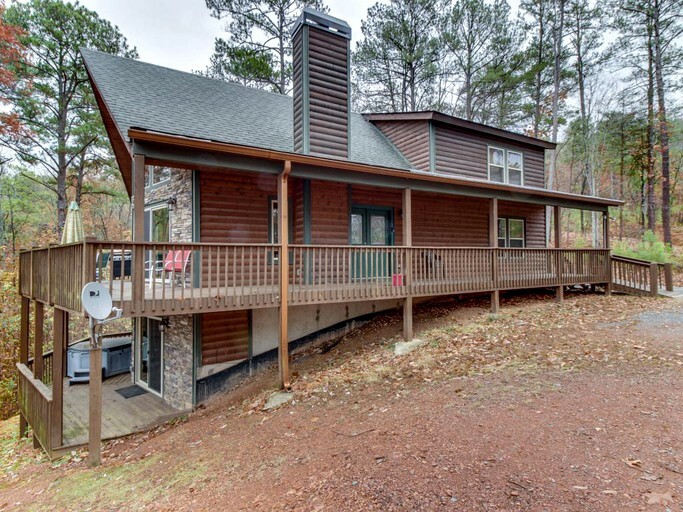 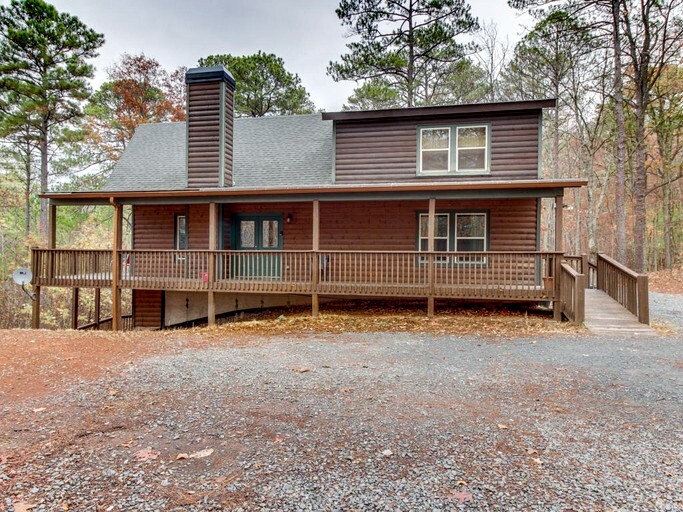 This property is ideally located right alongside Talking Rock Creek, only three miles from Carter's Lake in North Georgia. 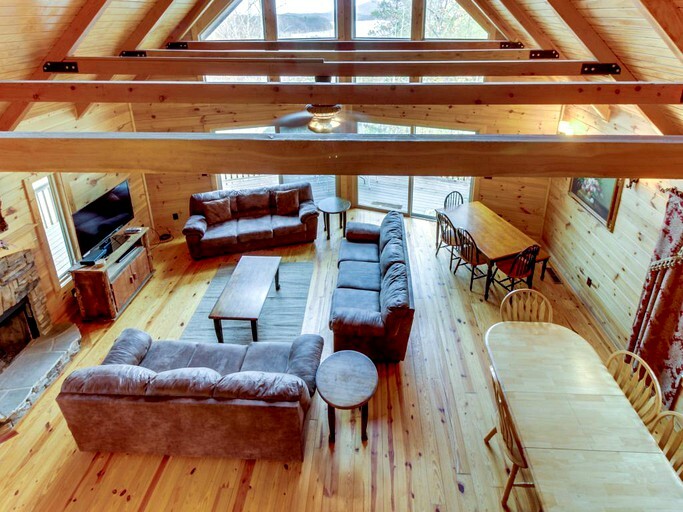 Stunning views of the lake and the Blue Ridge Mountains await guests at this dazzling group getaway. 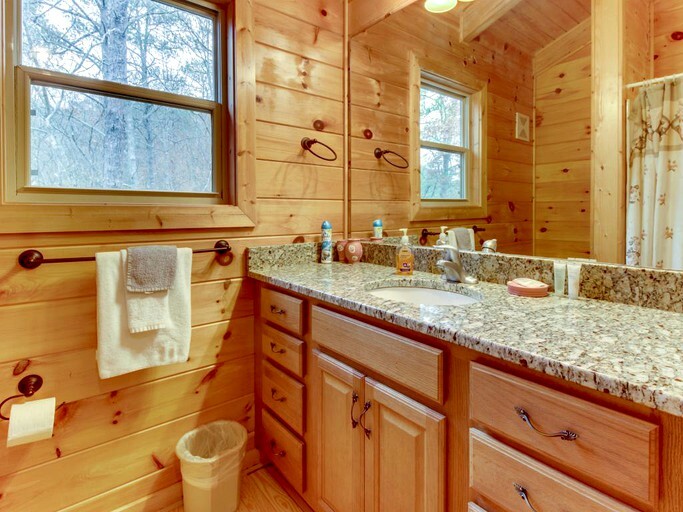 Guests need only travel about 20 miles to both Ellijay and Jasper for plenty of city adventure. 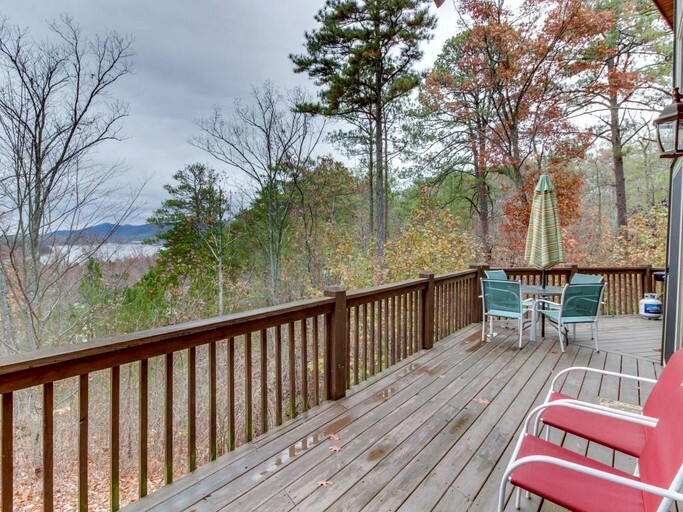 The property's location is ideal for water activities such as boating and fishing. 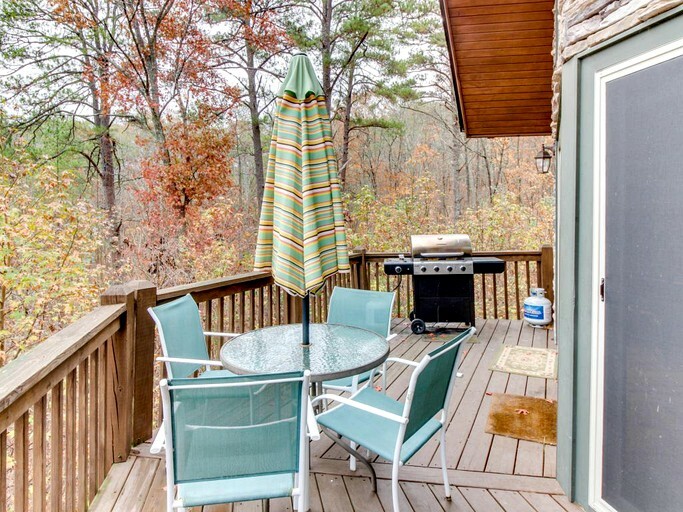 Guests can head to the marina for some fun on the water or take a hike along the dazzling 62-mile shoreline. 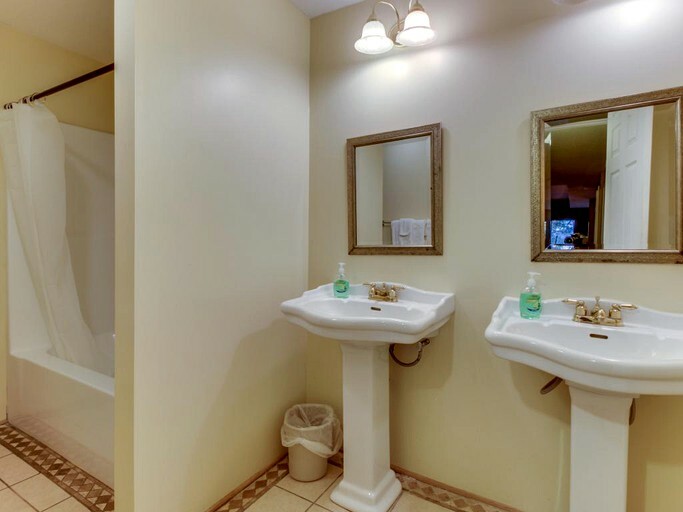 All cabin guests are welcome to enjoy the shared swimming pool or practice their serve on the shared tennis court. 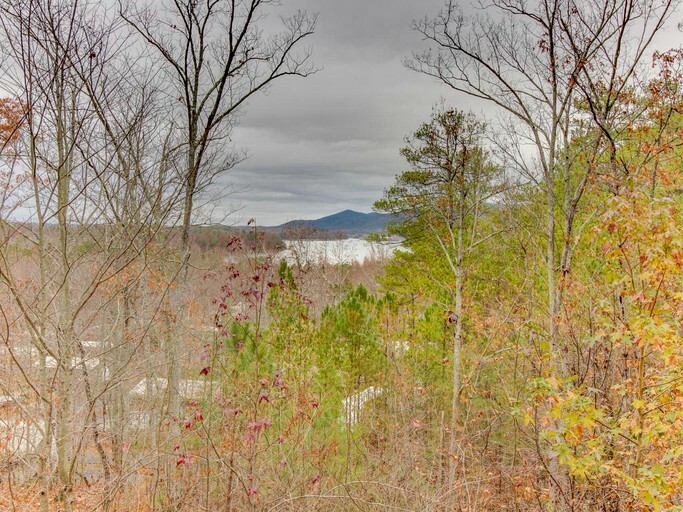 A short drive will take guests into downtown Ellijay and Jasper is just 20 miles away for some great shopping and dining options, as well as plenty of outdoor activities. 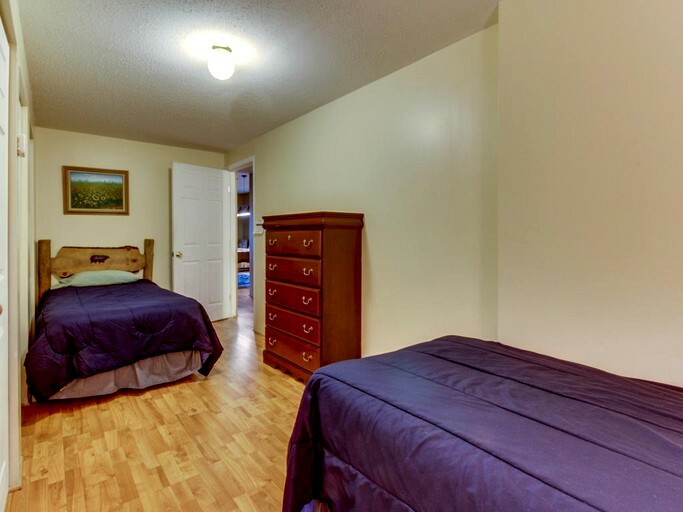 All guests must be at least 25 years old to book this accommodation, with the exception of multi-generational families.